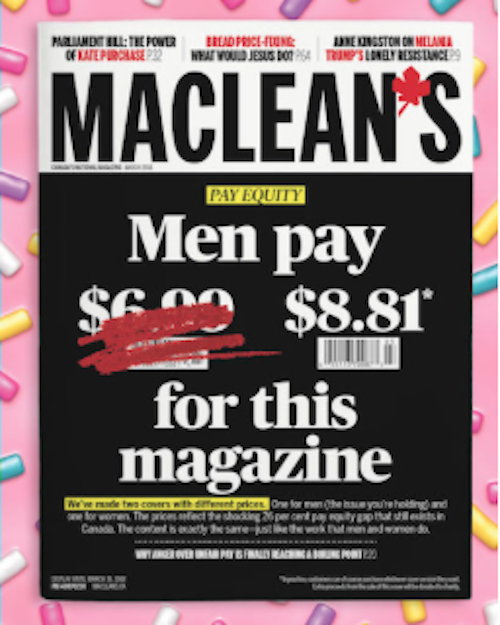 Maclean’s is my current feminist hero in daring to charge dudes $8.81 for a magazine that costs ladies $6.99. 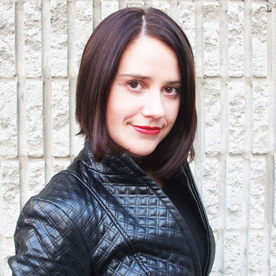 For any men who think reverse discrimination is a thing, I suggest they fork out for a woman’s haircut on her salary and then zippit. 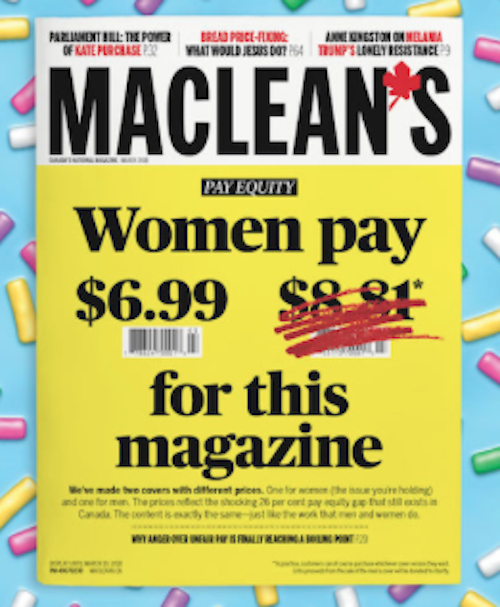 Better yet, wise up by reading this magazine, specifically my humble contributions: A bakesale that ended in dead threats; how men can be allys at work (starting today); and a profile of Indspire, the very worthy charity that will be rightfully benefitting from your $1.82.